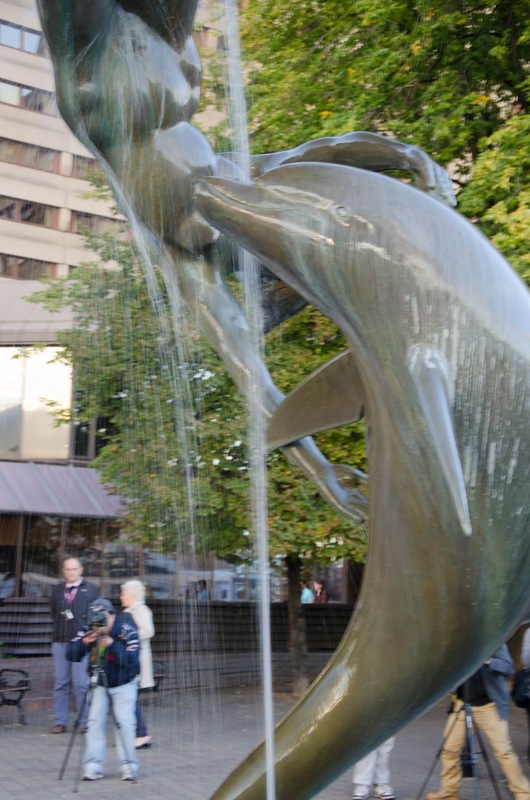 I promised a while ago that I will write about the sculpture fountain of a girl and a dolphin (sorry it's been so long, but it's really hard to find any free time nowadays). Not many people coming to London know about it. More tourist are, quite rightly, amazed by the Tower Bridge and Tower Hill, rather than this small piece of art. 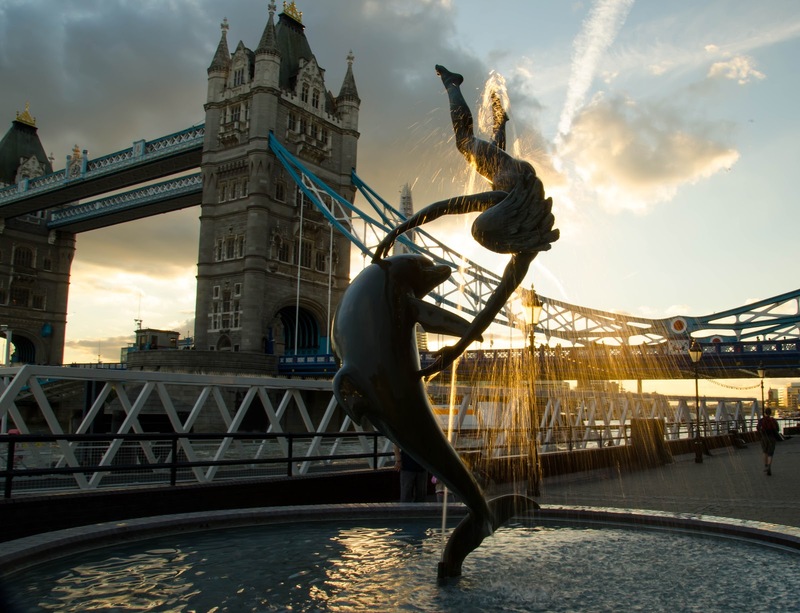 A Girl and a Dolphin is situated on the north bank of the river, very close to the Tower Bridge, I've mentioned already. To find it, you need to get off at Tower Hill station and walk towards the Bridge. Don't climb upstairs, just pass underneath it. You will find the fountain on the other side. In my humble opinion of a person who doesn't know much about sculpting, it is a very beautiful statue. It seems like it's made out of something light, like feathers, rather than of a stone. 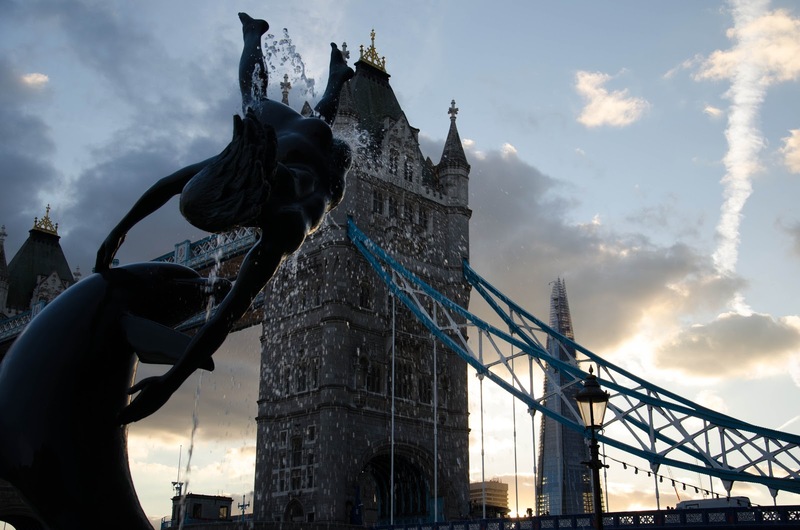 The sculpture was created by David Wynne in 1973. It turns out that he didn't have any artistic education and learned from his own experience. There are a couple more of his works around London and they all show the special connections between humans and animals. A gentleman I met at the fountain told me that this particular sculpture is a copy, and the original can be found in one of the museums in London. 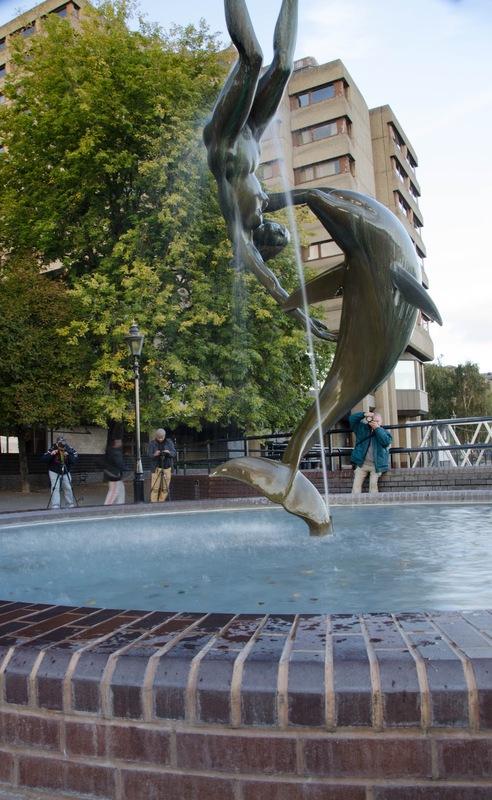 Not sure if this is true as I can't find any information confirming this, but one of the websites said that there was a brother statue of a boy and a dolphin, at the Chelsea School of Art. There are always amateur photographers around, just like me, trying to capture the flowing water and the lightness of the fountain. It is allowed to photograph, however, the sculpture sits on a private land, which is owned (I think) by the nearby hotel, so using a tripod is not allowed. Otherwise, you can shoot as much as you want!